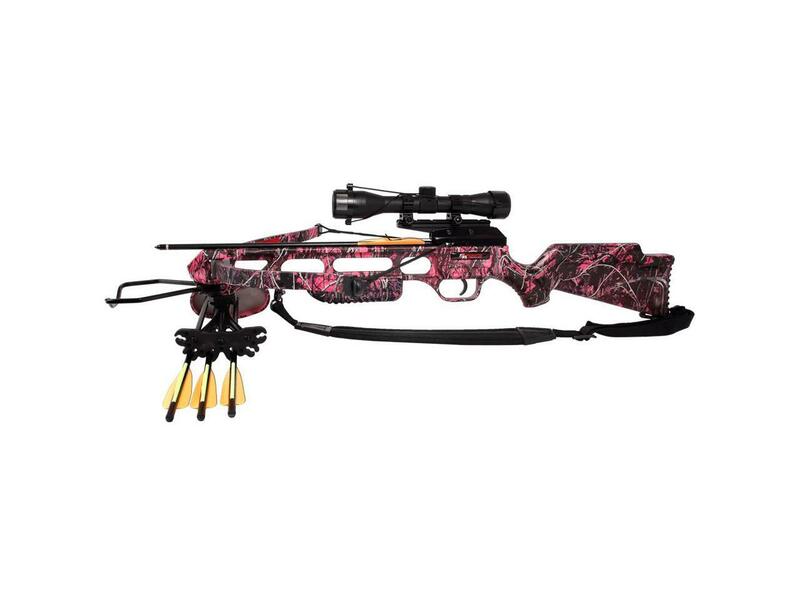 The SA Sports Fever Muddy Girl crossbow packs all the top quality, desirable features and accessories that the most experienced hunters demand, at a price tag that nearly everyone can afford. 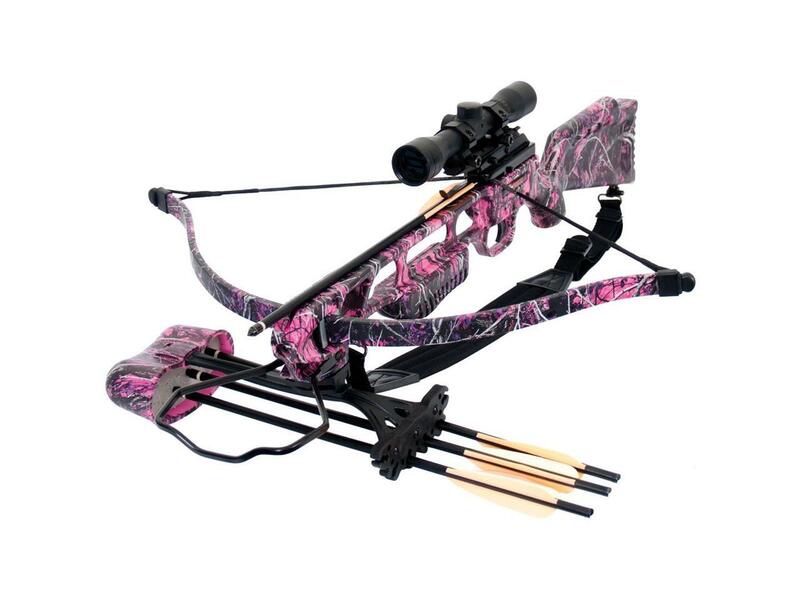 This is a bow that is great for that girl, because of the pink camouflage. Draw weight is 175lbs. 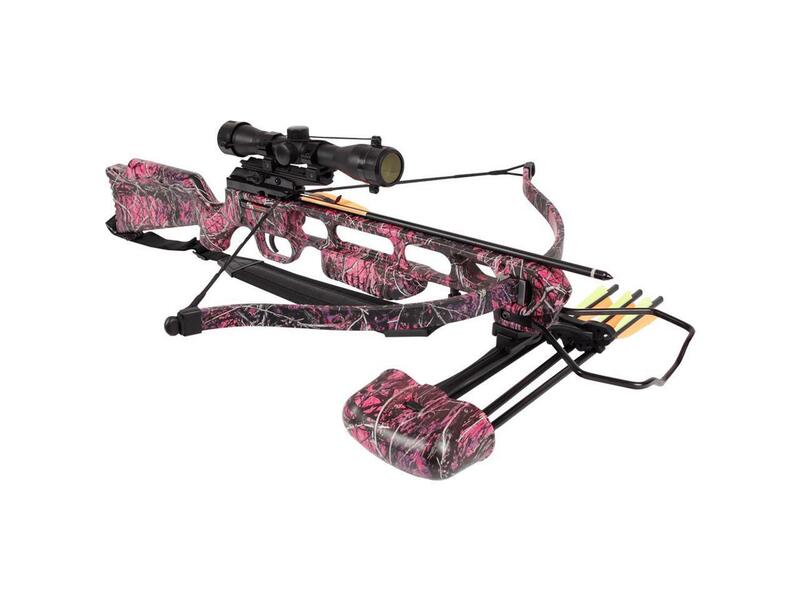 and speed 240FPS and weighs only 4.8lbs.